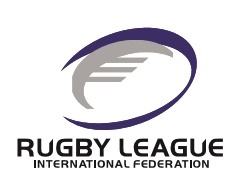 Following a rigorous two-and-a-half-year process involving all member nations, the membership of the RLIF has approved the proposals to reform the governance of the organisation. The resolution received unanimous support from all members who voted. The formal adoption will now allow the board to implement the agreed reforms which includes the appointment of, for the first time ever, independent directors who will take their place alongside the directors appointed by the membership. Each director will serve a term of three years and will be limited to three terms. Going forward the board will include three independent directors appointed for the experience, skill and expertise in delivering the objectives of the RLIF. One of those independent directors will become the chair. They will be supported by two directors drawn from the Rugby Football League and the Australian Rugby League Commission; this recognises the importance of the major professional leagues. The final six directors will be drawn equally from the Rugby League European Federation and the Asia Pacific Rugby League Confederation. One RLEF director must be nominated by the RFL, while one APRLC director must be nominated by ARLC and one from the New Zealand Rugby League, who separately will have a second director for a transitional period of three years.